THE OFFICIAL SITE FOR THE 2018 GOLF & LEISURE SAVINGS BOOK. 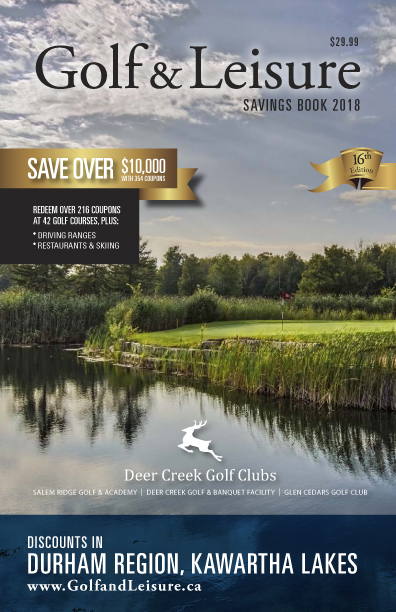 THE ORIGINAL AND BEST COUPON BOOK FOR DURHAM REGION AND SURROUNDING AREAS AVAILABLE NOW!! For just $29.99 you can start saving as soon as you receive it! 216 high value golf coupons at 42 courses and includes 170 Weekend play coupons. Average value of these offers is $42 each. Order now online. Makes a great gift! © Durham Golf & Promotion. All rights reserved.